Here we go again with the Olympics. I feel like it was not so long ago when I was writing about how I was spending my entire Saturdays and Sundays watching the summer Olympics. My how time flies. Before the opening ceremonies on Friday, I started to watch the very first competitions on Thursday but just couldn’t do it. I was so sick of the cold and snow and ice that the last thing I wanted to do was watch it on TV. But then the opening ceremonies happened and my patriotic spirit was tapped and I’ve been glued to events I wouldn’t normally think twice about ever since. I’d been excited all week to spend some time in my kitchen making some good food this weekend but when Saturday came and I got sucked into figure skating, I suddenly didn’t want to be in the kitchen. 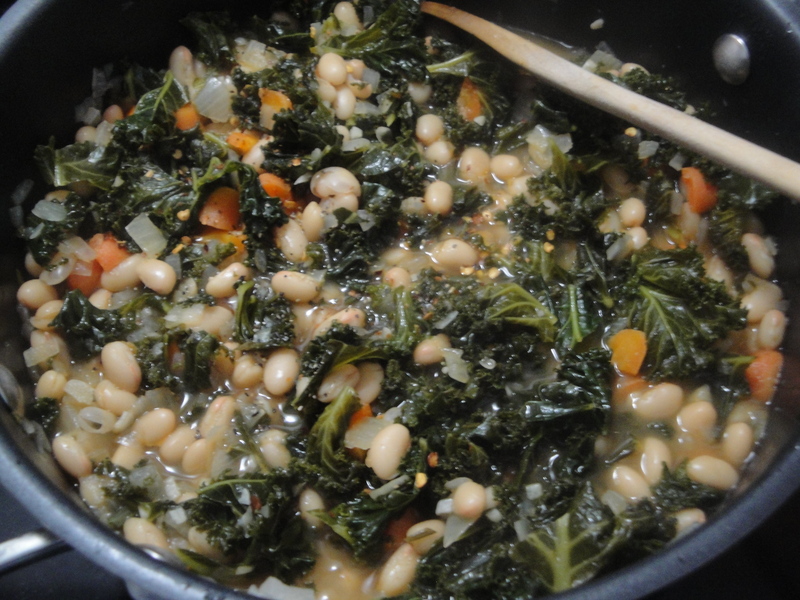 Fortunately, this Kale, Bean & Sausage Stew was so simple that I didn’t have to work too hard and it basically cooked itself. 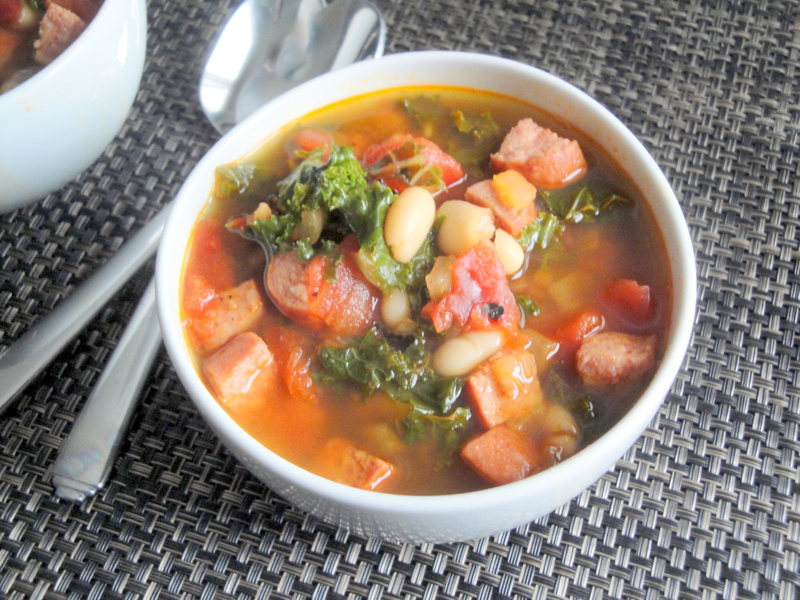 Smoked sausage, cannellini beans, and kale are cooked with fire-roasted tomatoes to make a hearty and flavorful stew. Smoked paprika (which you may remember is my favorite spice ever) adds another layer of smokiness making this stew hit a smoky trifecta. 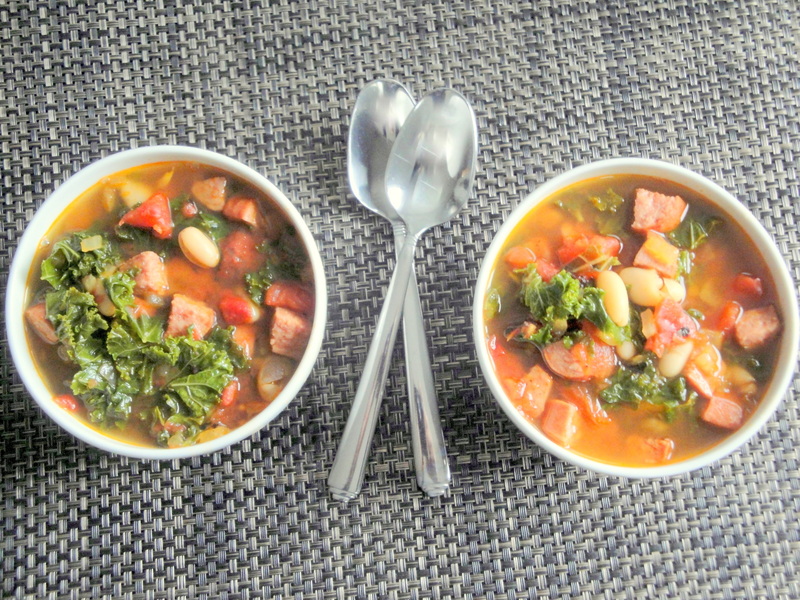 The sausage and creamy beans give this stew some real heft while the kale adds an earthy yet fresh addition (the recipe calls for swiss chard but any leafy green will do). This stew came together quickly and was everything I could have asked for in a stew. It was the perfect warm lunchtime meal to be slurping down while I sat on my couch cuddled up in blankets watching the Olympics. 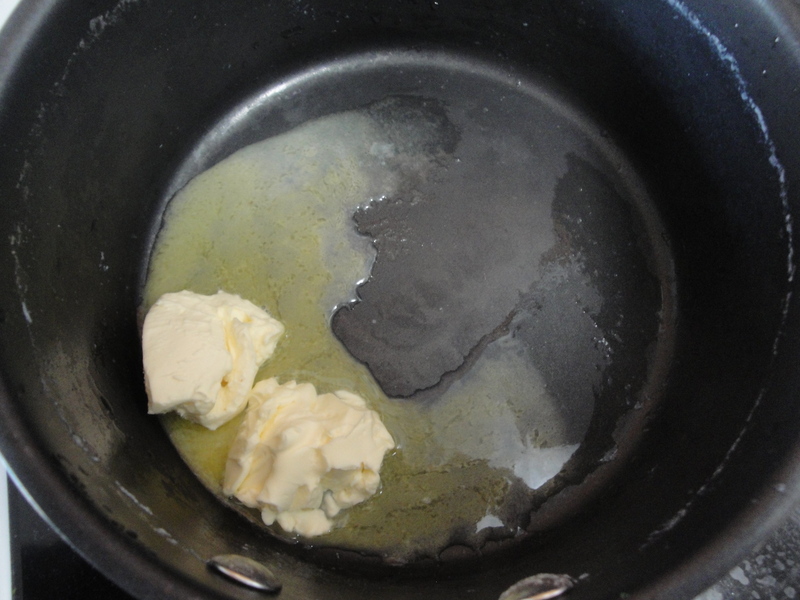 In a large pot, heat the oil over medium heat. 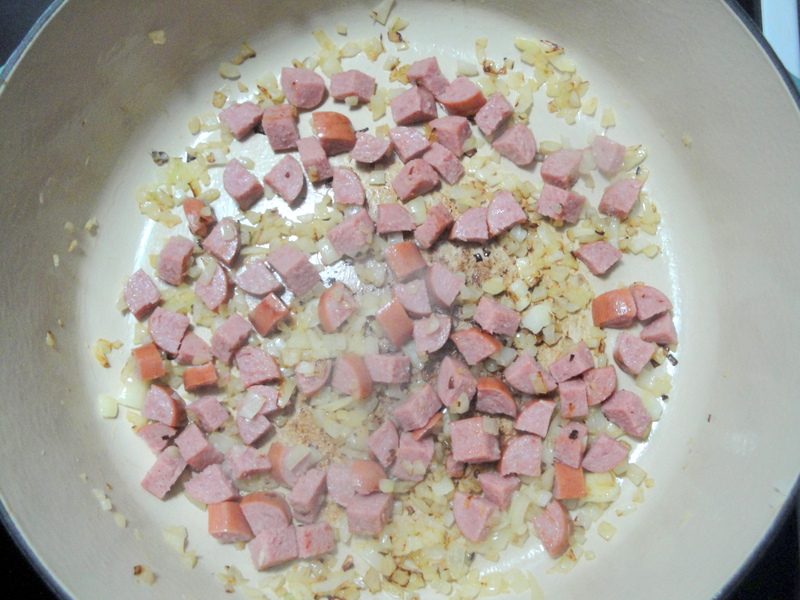 Add the onion and cook until golden, about 7 minutes. 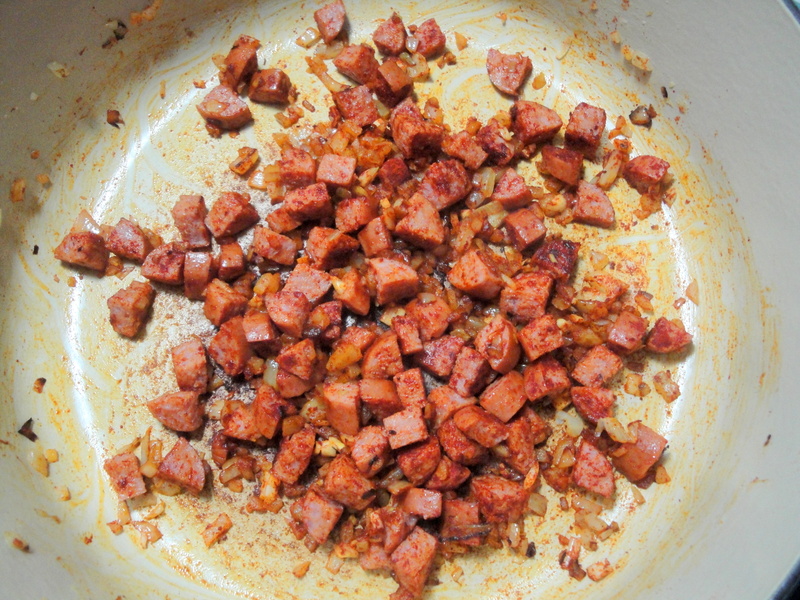 Add the sausage and cook until browned, about 3 minutes. Stir in the garlic and paprika and cook for 1 minute. 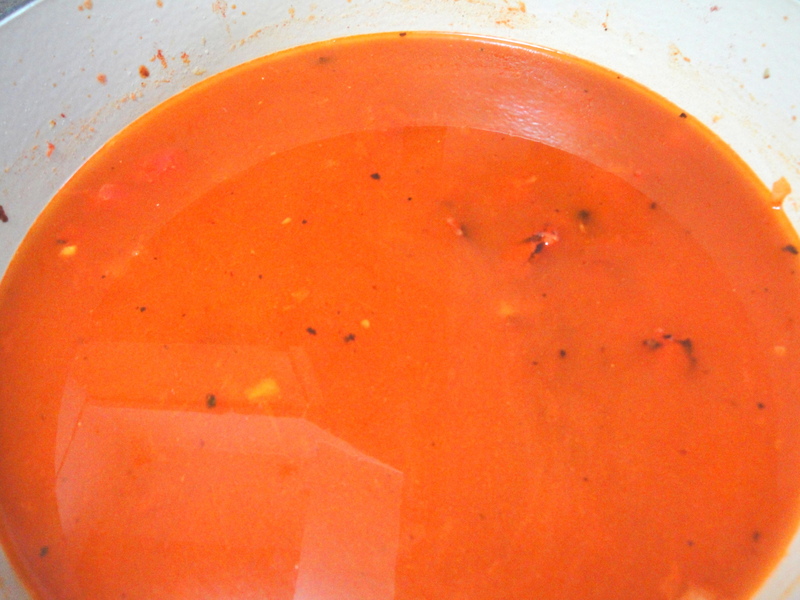 Stir in the tomatoes and bring to a boil over medium-high heat. 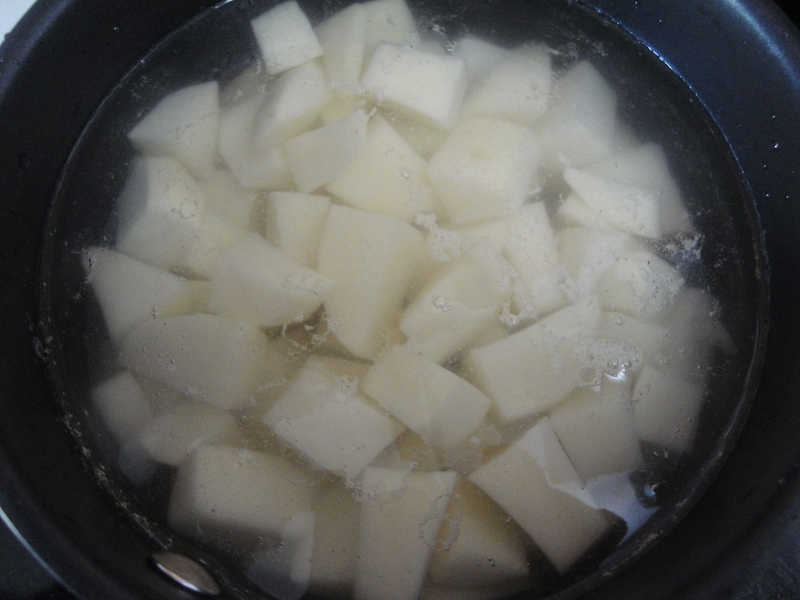 Cook, stirring, until almost dry, 2 minutes. Add 6 cups water and bring to a boil. 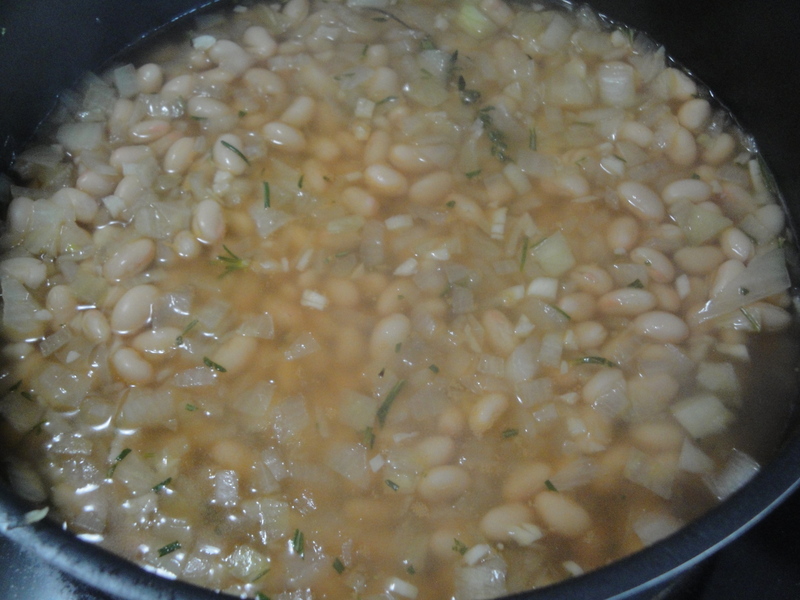 Lower the heat, stir in the beans and simmer for 15 minutes. 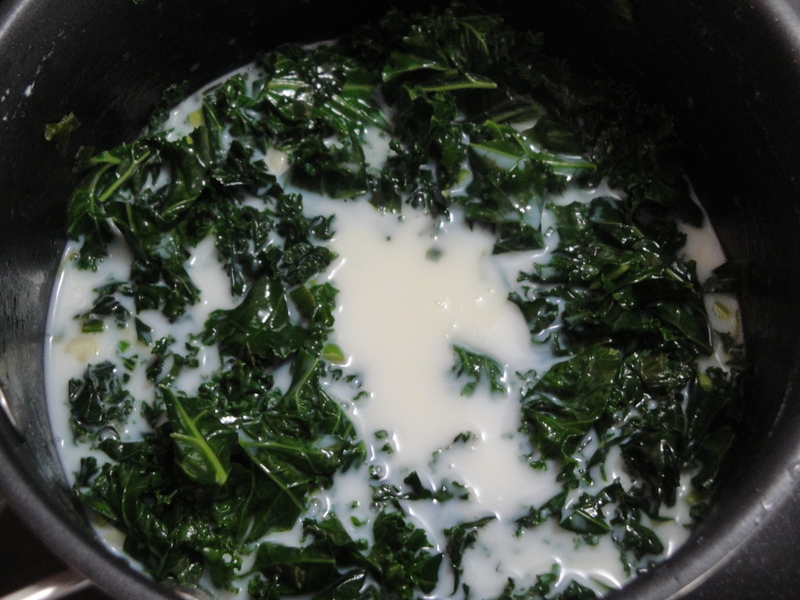 Stir in the greens and simmer until tender, about 5 minutes. I was in Illinois this past weekend for a family event and got to spend every single minute with my sister and niece who I just don’t see enough of. I love a weekend get away as much as the next person but it can take a lot out of you. After flying home yesterday afternoon, I was ready to put on my jammies and climb under the covers before the sun had even set. 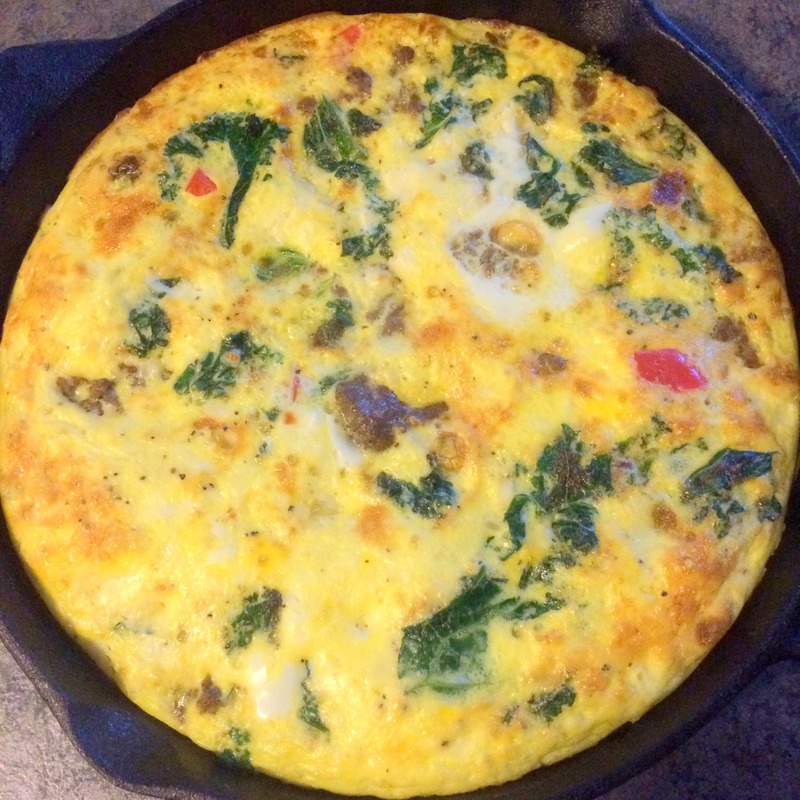 I was exhausted and hungry and since I’ve been on a routine of doing all of my cooking on the weekends, I had nothing to eat. 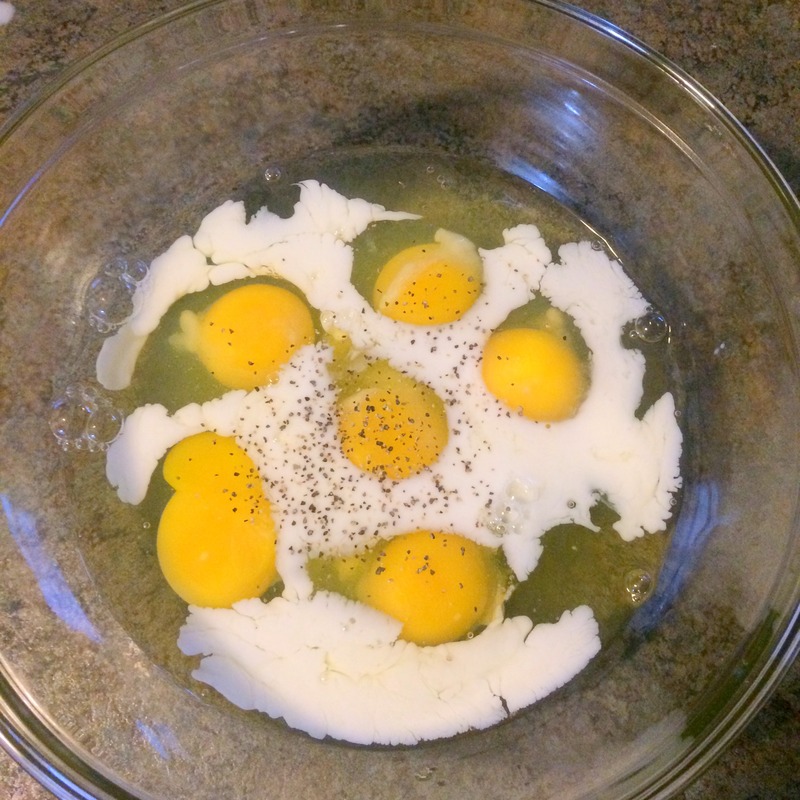 I turned to my good ol’ stand by, a fried egg sandwich. 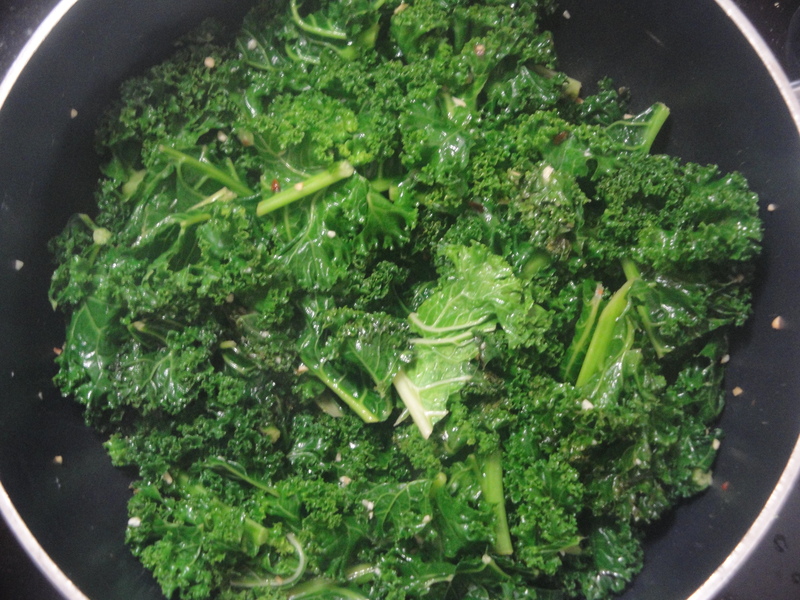 Looking for a quick side, I whipped up some Garlicky Kale (adapted from Garlicky Swiss Chard). 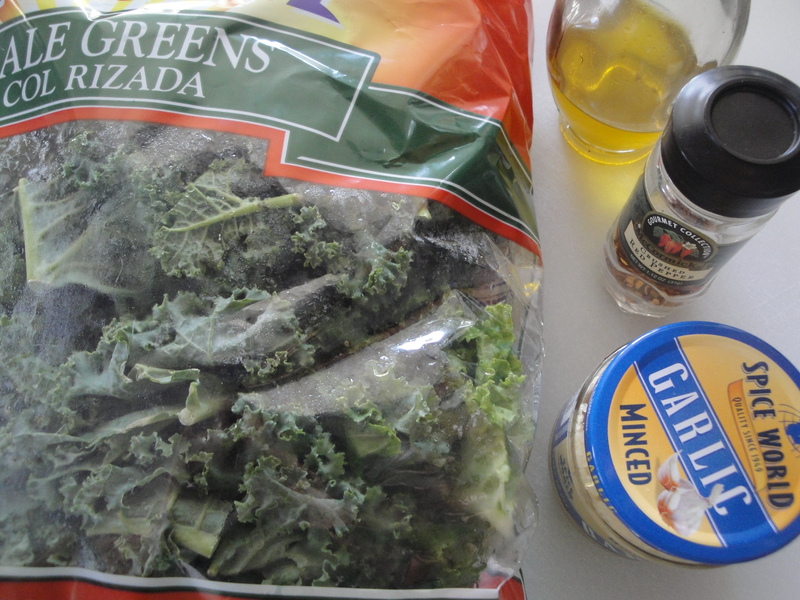 Fresh kale is cooked and steamed with nothing more than olive oil, garlic, red pepper flake and salt. 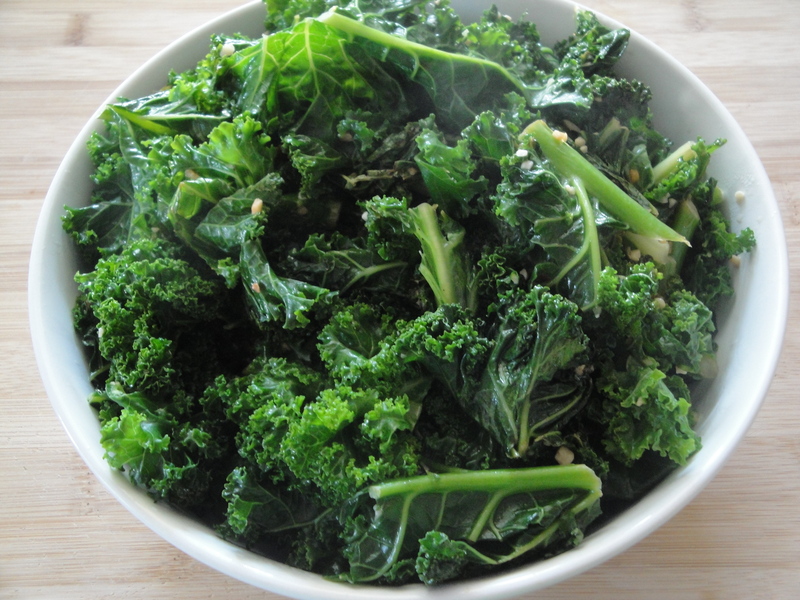 What a better way to eat your green leafy vegetables, especially when you can probably benefit from some of it’s vitamins? 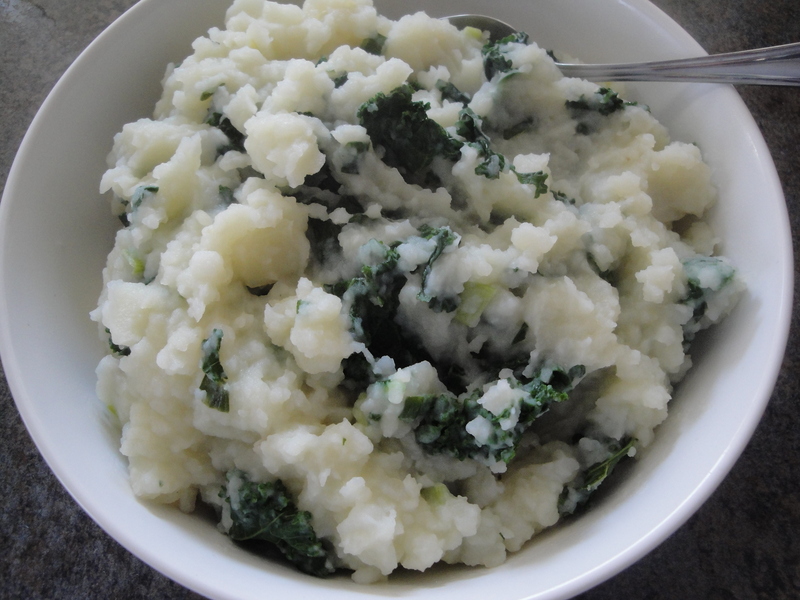 Light, garlicky and slightly spicy, this is a simple and healthy side dish that comes together fast. 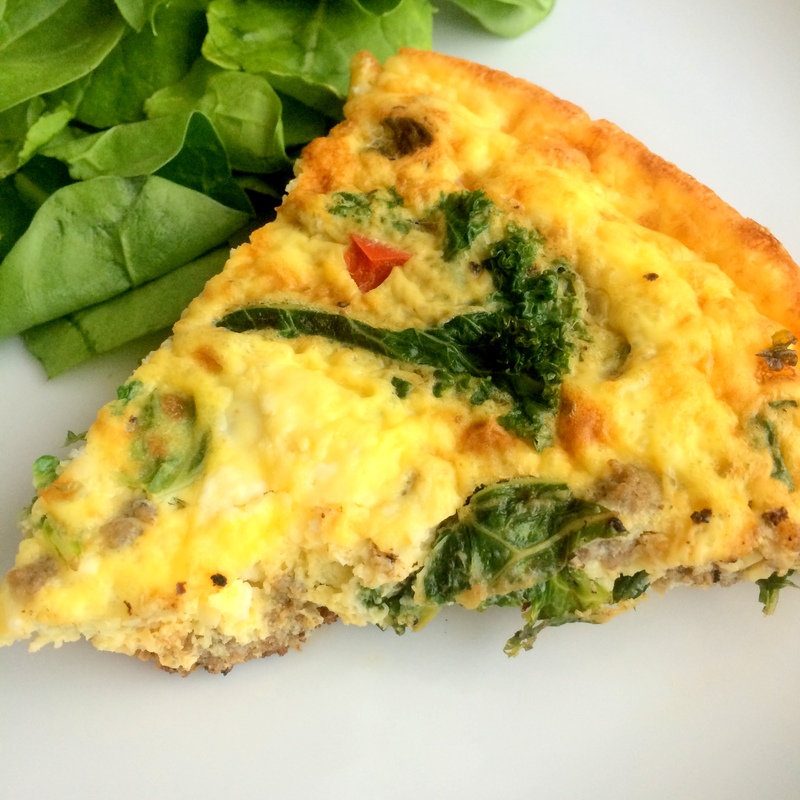 Whether you eat this with eggs or something more substantial like meat or pasta, this is a good, quick go-to that can easily be switched up with any leafy green like spinach, swiss chard or collard greens. 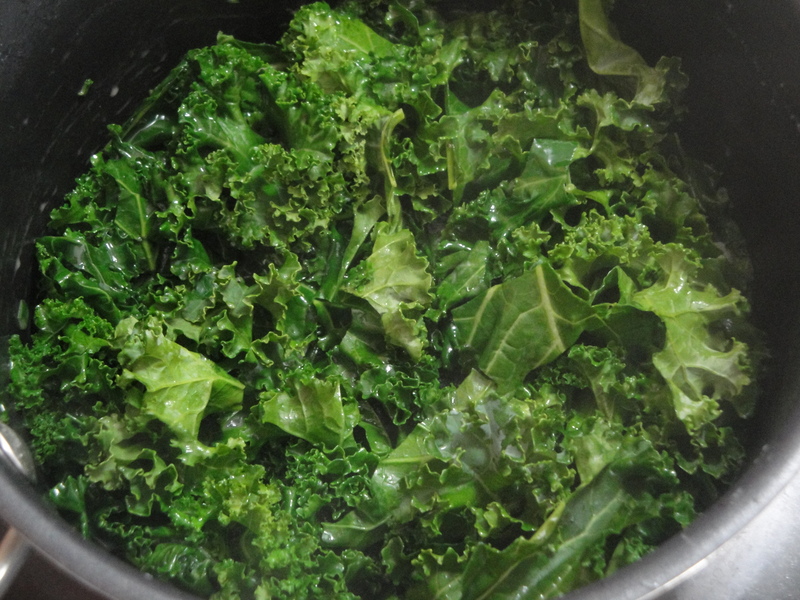 Wash kale pieces and place in a bowl (or use prewashed bagged kale to save some time). 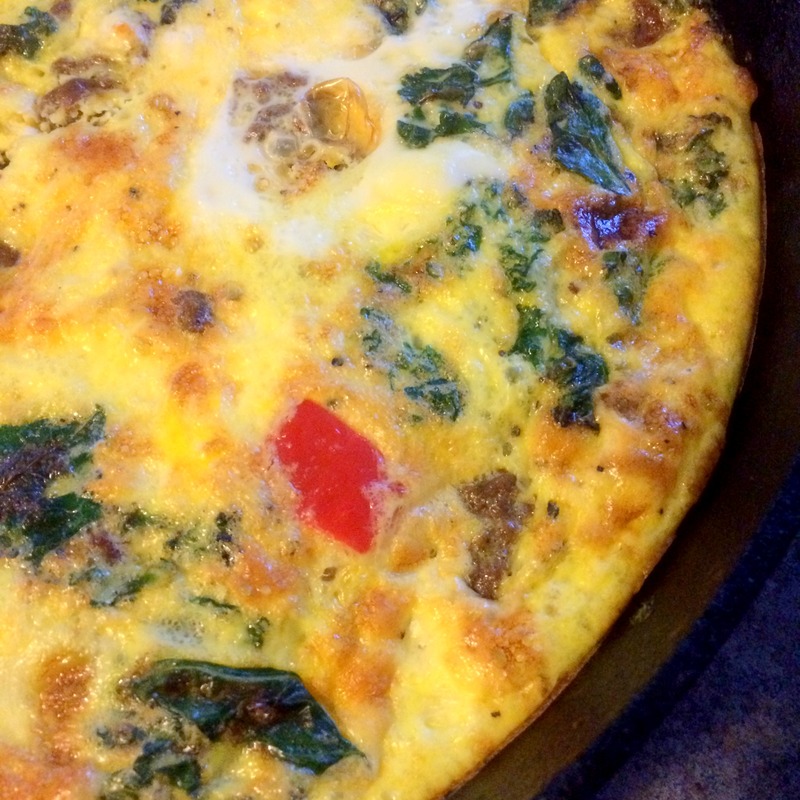 In a large lidded pot, heat olive oil over medium heat. 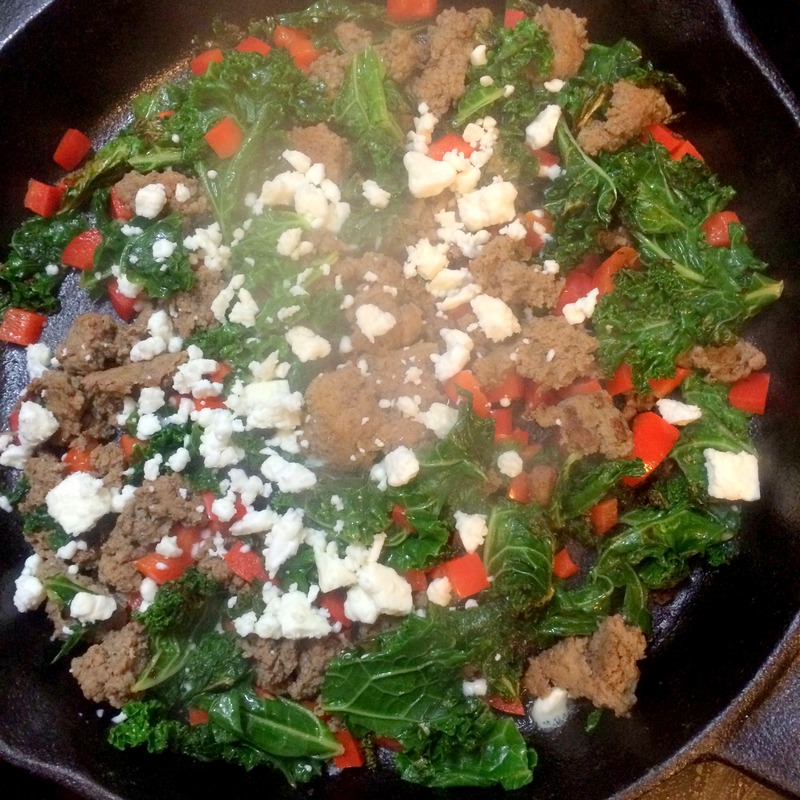 Add garlic and red pepper flakes to pan. 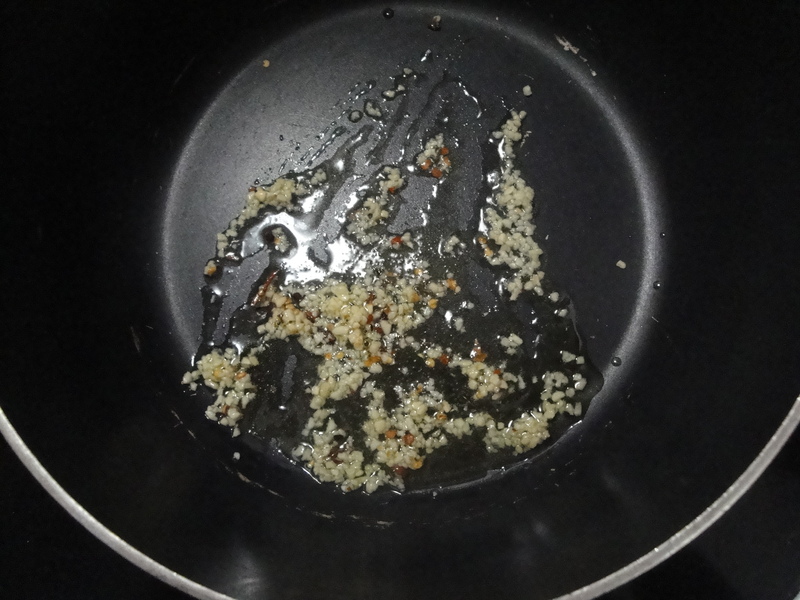 Cook 1 to 2 minutes, being careful not to burn garlic. 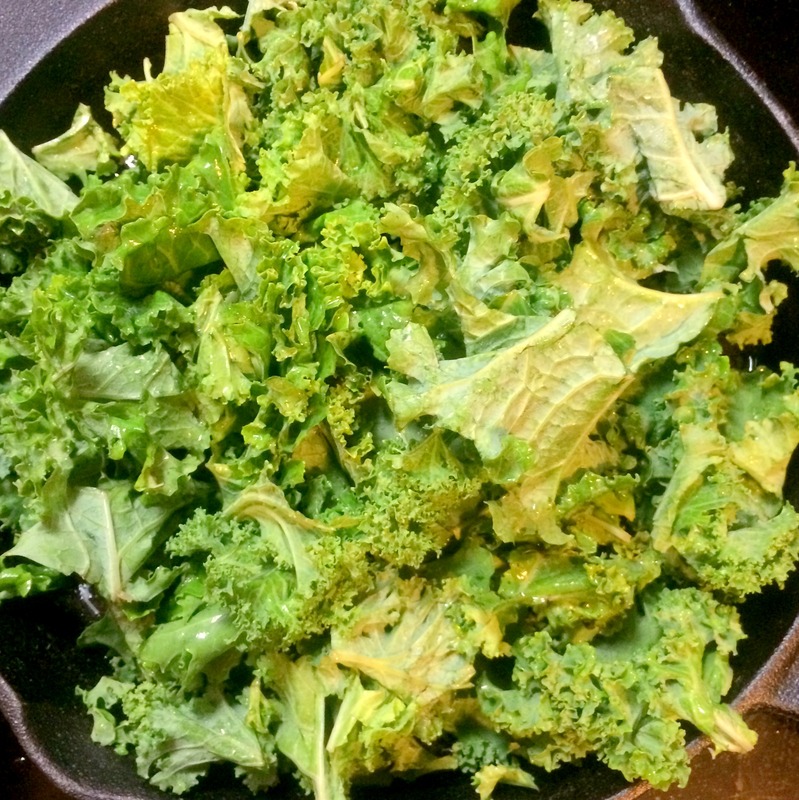 Stir in greens and increase heat to medium-high; place lid on pot and cook 2 minutes. Remove lid and stir with tongs. Replace lid for 2 more minutes. Remove lid, stir and cook for 2 more minutes, uncovered. Greens should be bright green. 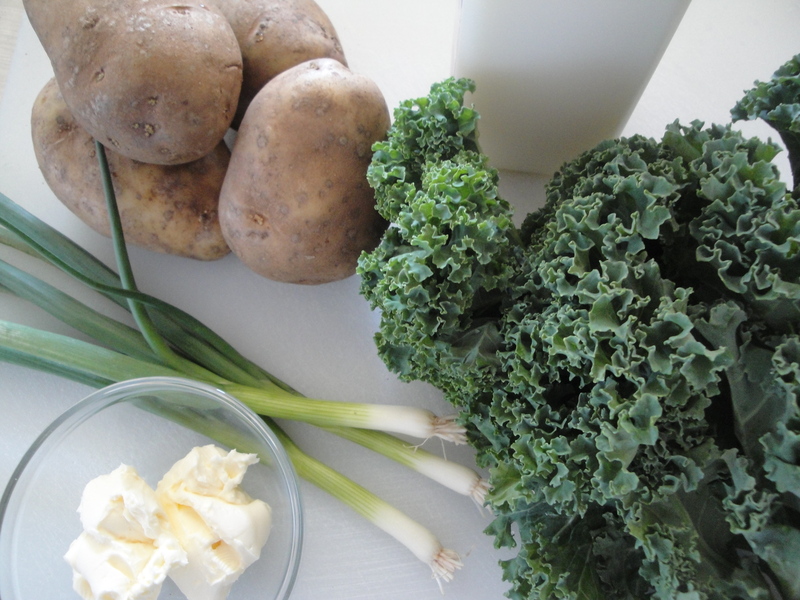 I’ve said it before and I’ll say it again: Soups are great for healthy eating! When I’m trying to eat better, I love making them because as soon as the soup is prepared, I portion out the sizes into individual containers to make it easy to grab for lunch (and to not overeat!). 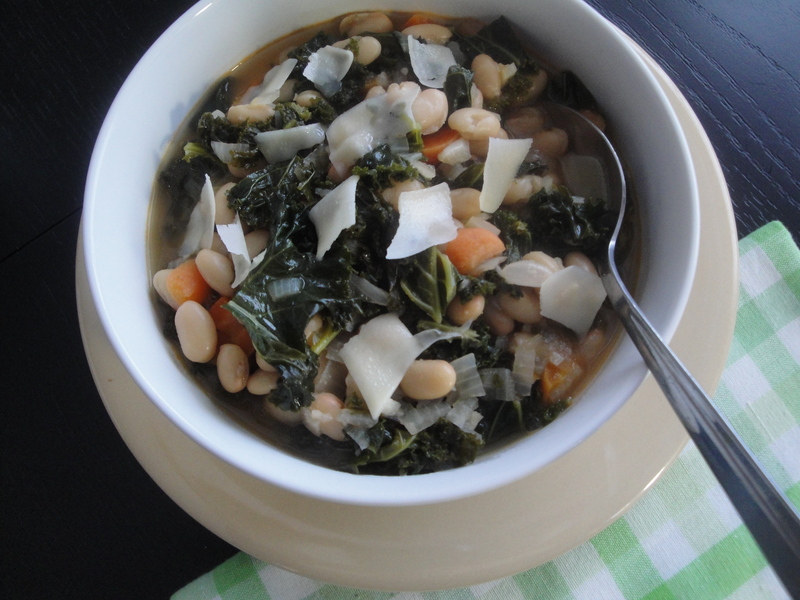 This Tuscan White Bean Soup with Kale is rich in fiber but low in calories and fat. Not to mention it’s vegetarian! 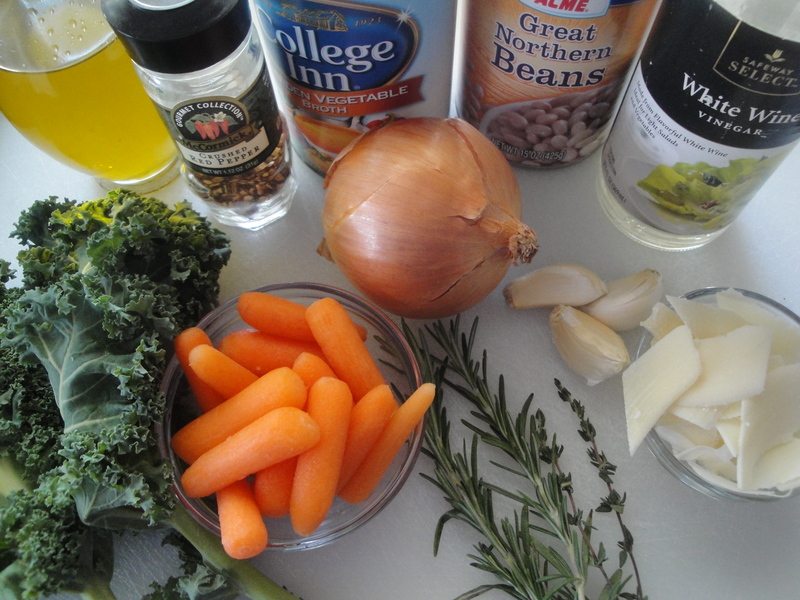 Creamy, sweet Great Northern Beans are simmered with onion, garlic, rosemary and thyme in vegetable broth (any kind of broth will work here) and then carrots and kale are added until soft. Red pepper flakes and white wine vinegar are tossed in at the end where both lend a real flavor boost. 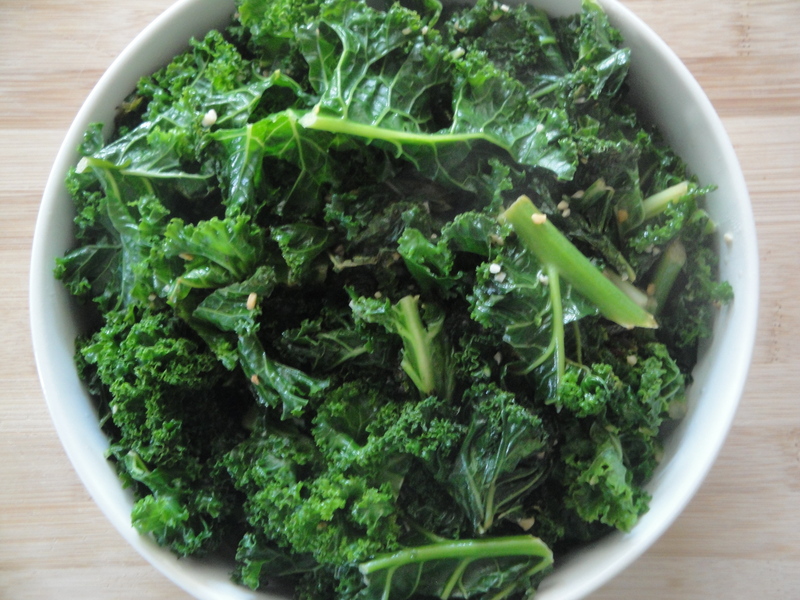 The original recipe calls for escarole but since I started eating kale a few months ago, I always try to use it wherever I can. 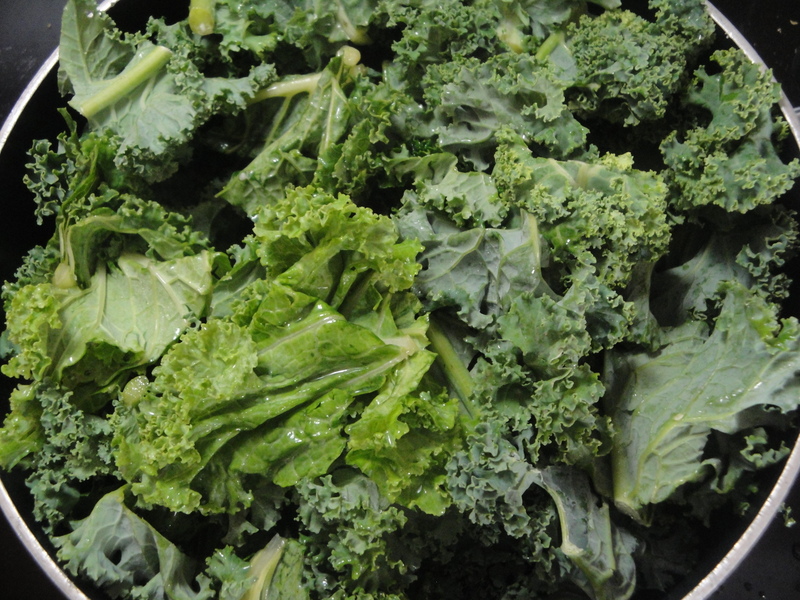 Any leafy green – spinach, collard greens, or swiss chard – will work, so use whatever you like. 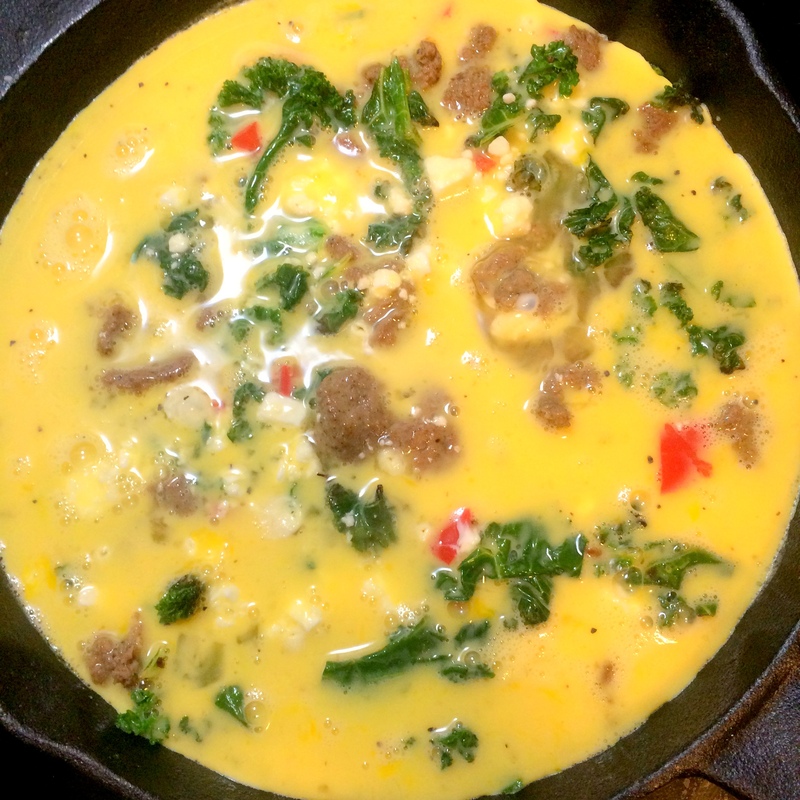 The only thing I left out is the addition of the parmesan rind and although I’m sure it adds a ton of flavor, I didn’t see the need for the extra calories so I just used a little parmesan cheese on top before serving. 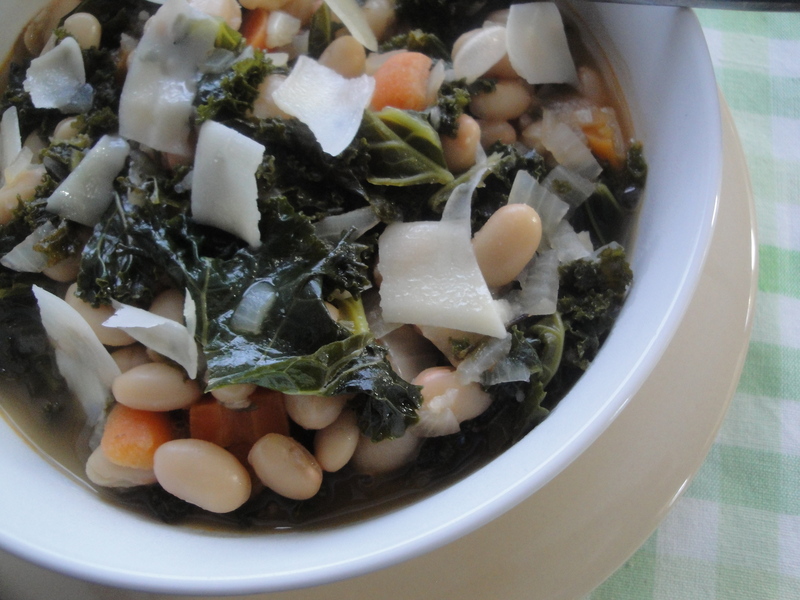 I loved this soup more than I ever expected to and cannot rave about it enough. I will make this again, no question! 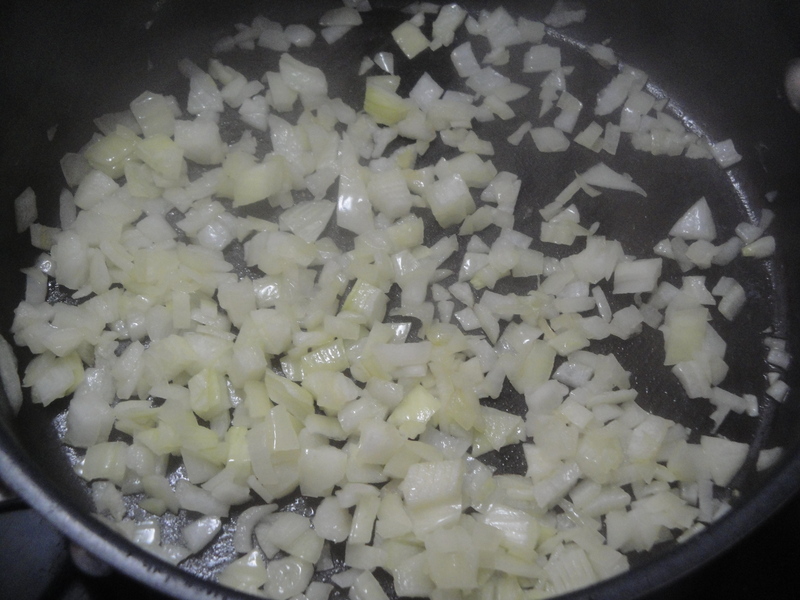 Heat the oil in a large pan and add the onion. 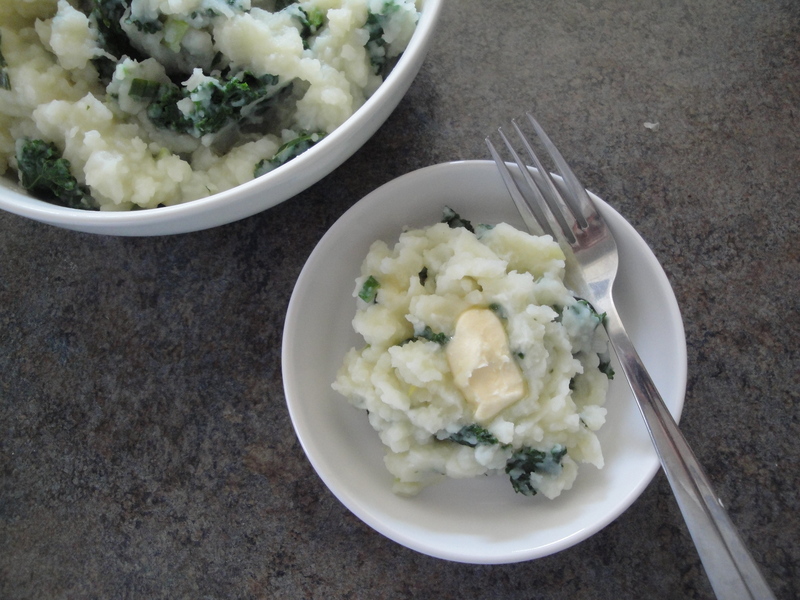 Cook until soft and then add in the garlic. Sauté for 30 seconds. 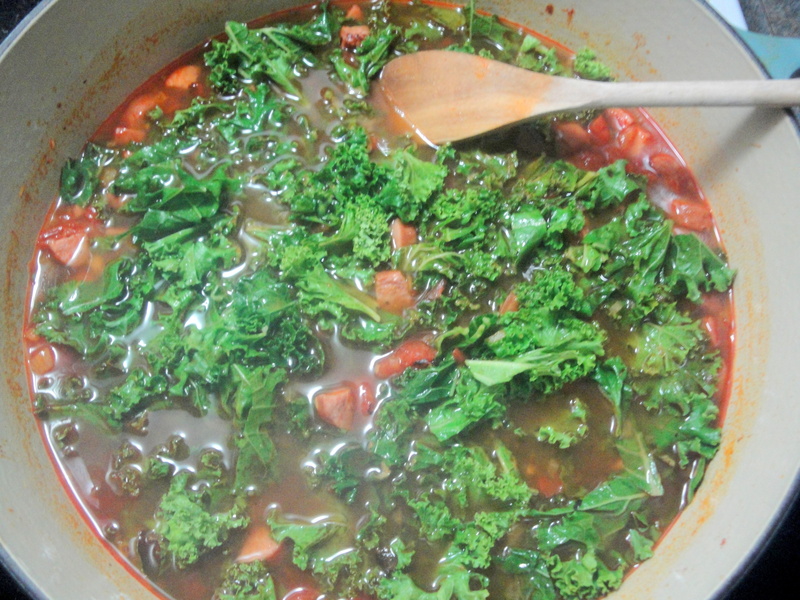 Add in the vegetable broth, water, rosemary and thyme. 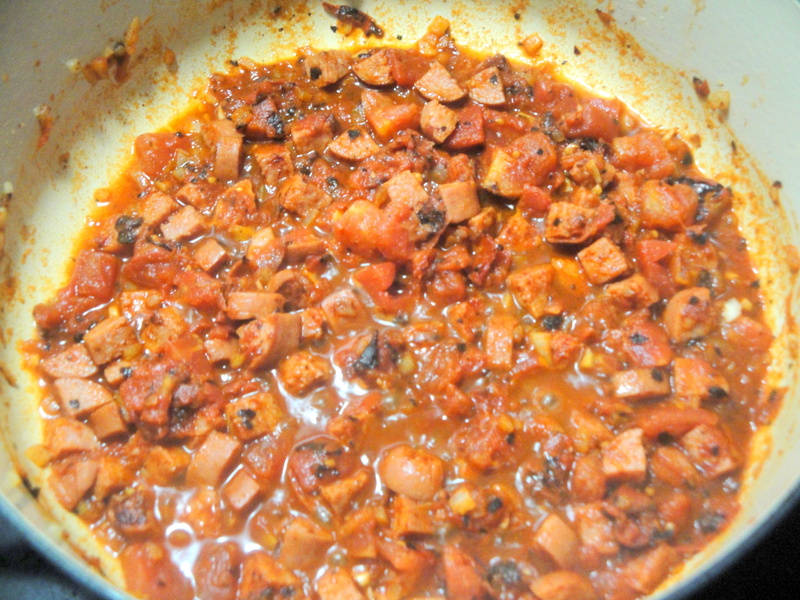 Bring to a boil and reduce heat, simmering for 10 minutes. 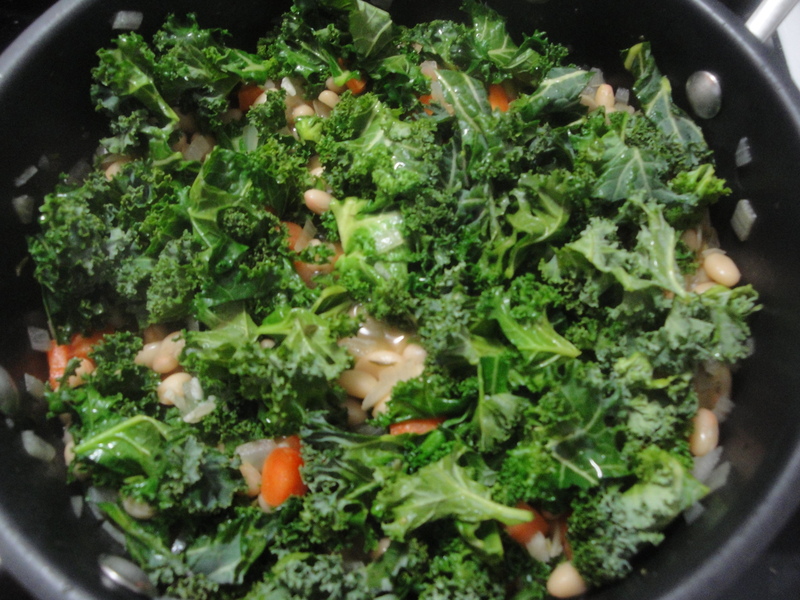 Add in chopped carrots and kale and cover for 15 minutes. Stir in red pepper, salt, black pepper, and vinegar. 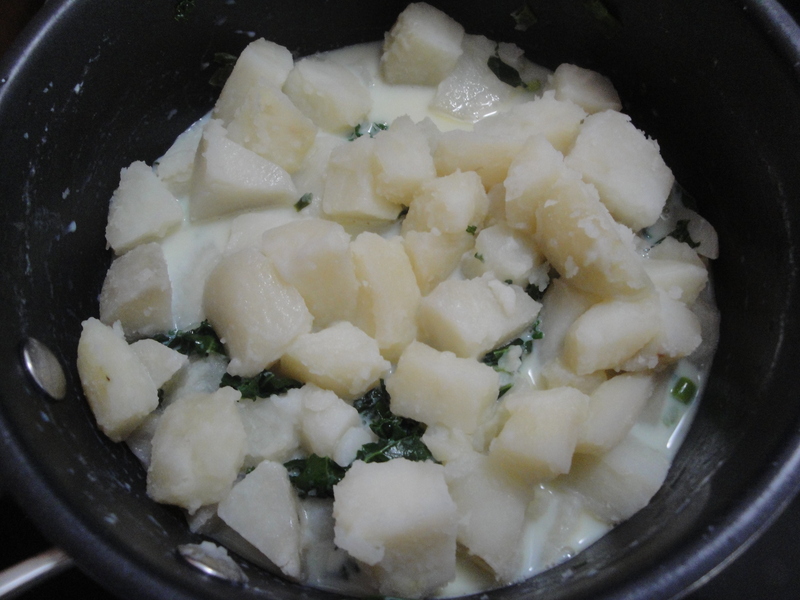 Remove the parmesan rind (if using). 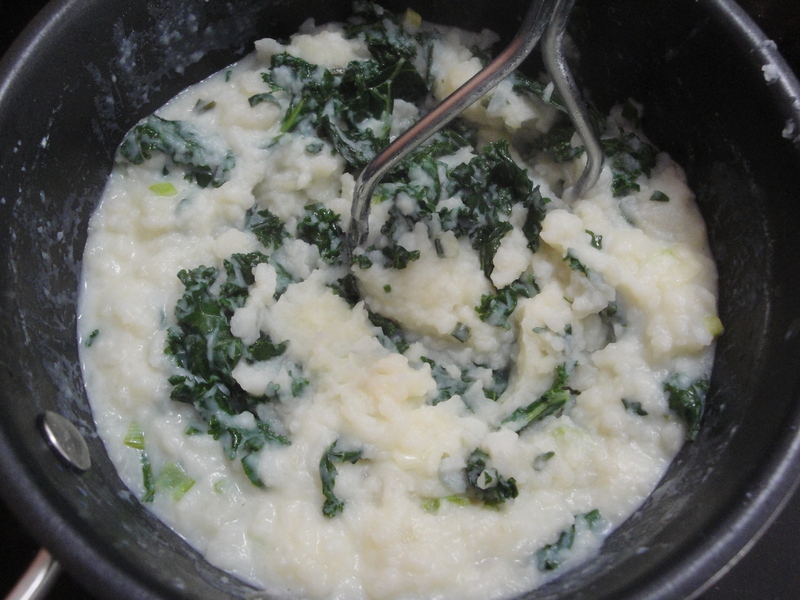 Serve with shaved parmesan cheese.